My Box Printing specialises in luxury small, medium or large sized personalised jewellery boxes. High quality printing with various options like metallic printing, solid colour printing, textured printing or text printing is available. We create high-end bespoke Ring, Earring, Pendant and Necklace Boxes for wholesalers, manufacturers and retailers. All we need is an artwork with minimum 600 DPI in an illustrator, PDF or Photoshop format (with layers), and rest leave on us. Whether it is one colour logo box, two colour custom jewellery boxes or full colour printing of jewellery packaging, we will provide you with best prices. 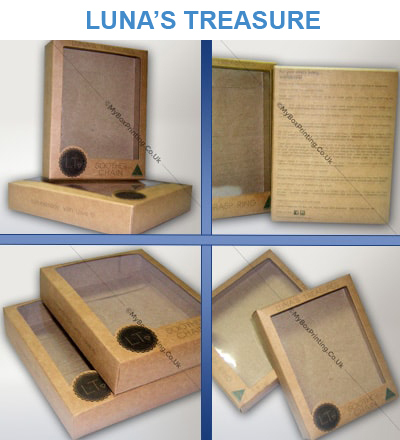 We are a leading supplier of custom printed wholesale jewellery boxes. Our boxes prices start from as low as 9p/box. We not only offer free shipping, free quotation and advice but also offer price match guarantee. Absolutely loved it ! I ordered 200 customized jewellery packaging boxes. They were a bit high end and luxury, so price was competitive. We requested for flat packaging, thick cardboard material and full colour printing.